With the report from the Princes Trust 'Youth Index' coming out last week showing that a staggering amount of young people are suffering from isolation anxiety and depression, it made me question what are we going to do about it and when? 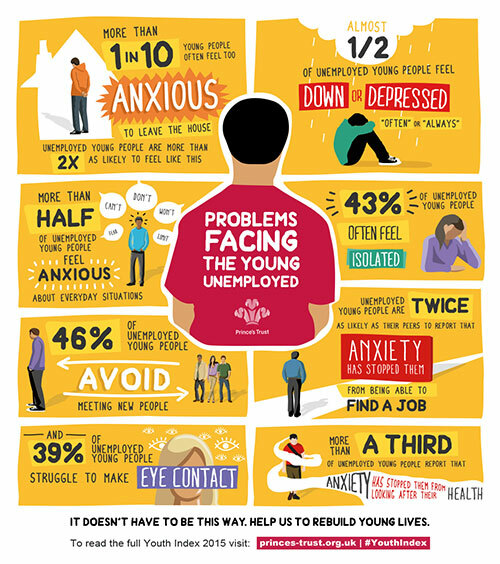 Two weeks ago I was called for an interview as a Princes Trust Ambassador to be involved in the Youth Index statistics, I have a full understanding of how anxiety can cause isolation and therefore starts to affect daily routine, and it feels as though your life is spinning out of control. Following on from that I was invited to be part of BBC Radio 1 conversation on the Youth Index and gave my say on the matter last week, representing all the young people who have ever felt alone because of feeling isolated or ashamed due to social pressures and the difficulties of employment when struggling with poor mental health. I wanted to make it clear that not all young people who are unemployed are lazy and that pushing people into work or onto a work programme will not help people with their mental health. These subjects are sensitive issues and take time. 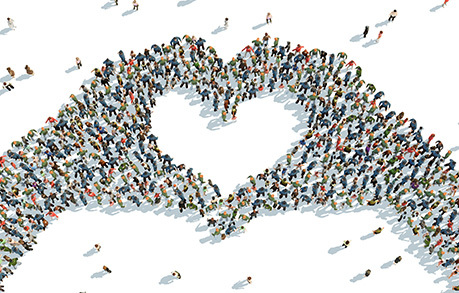 I started to wonder how can we as a technological generation influence togetherness, the blogging community has such a strong bond and I love it but how can we be heard in order to change the way things are running, in order to get us no longer isolated. We need to go back to basics and leave technology alone for a few hours a day. Going out for a meal shouldn't consist of waiting until you get the perfect picture and editing it before you can actually enjoy your meal by this time may not be as hot as it once was. We need to make time for the present experience the outdoors, laugh in the rain, walk on the beach, read in the park. If we spend all our time trying to snap and capture the moment, the moment will pass us by.